Designed to address functional and/or aesthetic concerns affecting the jaw, orthognathic surgery is usually a combination of jaw surgery and orthodontic treatment. Some of the reasons for having jaw surgery include injury, defect or deformity, misalignment, and cosmetic enhancement. Dr. Eric Payne, our extensively trained craniofacial plastic surgeon, utilizes the most advanced orthognathic techniques and technology available. He has experience performing jaw surgery on a wide age range of patients, from young children to adults, with an emphasis on providing compassionate care and exceptional results. Furthermore, our multidisciplinary team combines the skill of leading medical professionals to optimize the process from start to finish. As with every treatment offered by our practice, the patient experience is paramount. We will make every effort to help ensure your time with us is as easy and as comfortable as possible. Benefits Jaw surgery can address difficulty eating due to jaw misalignment, improve facial appearance, reduce speech problems, and improve TMJ and sleep apnea symptoms. Surgery Time The average adult patient often can return home the same day as or the day after surgery, while other patients may require a short hospital stay of a few days. Recovery Time Most individuals who have minor jaw surgery can return to school or work after 1-3 weeks. Healing Time Healing is typically complete in about 3 months, with final results seen at 9-12 months. Post-Surgery Diet A liquid and soft food diet will be necessary for the first several weeks after surgery. Wny Surgery? Jaw surgery can be performed to address cosmetic concerns, medical conditions, or both. Cost The average cost of jaw surgery is $10,000 to $20,000. For more details about orthognathic surgery, we encourage you to explore the informative sections provided on this page. If you have additional questions or would like to schedule a consultation with Dr. Payne, please contact us today. What Can Jaw Surgery Achieve? The last of these concerns, sleep apnea, is a serious condition that can be life-threatening. Dr. Payne offers a range of treatments for this common but significant problem. Learn more about about this condition and potential treatment options on our page devoted to sleep apnea. Jaw problems can affect patients of all ages. Dr. Payne helps many young children overcome defects that occurred during development in the womb as well as mature adults who either never addressed a problem they’ve always had, recently discovered an issue, or wish to improve a cosmetic concern. We can discuss your or your child’s unique situation in a welcoming and safe space. What Are the Different Types of Jaw Surgery? Broadly speaking, jaw surgery can be performed for corrective reasons or for cosmetic reasons. In many cases of reconstructive jaw surgery, cosmetic benefits can occur as well. Genioplasty (chin surgery) is the most commonly performed aesthetic jaw surgery, and Dr. Payne can go over your options for cosmetic enhancement during your initial consultation. For primarily corrective procedures, there are several techniques available, addressing issues of the upper jaw, lower jaw, both, the chin, or the palate. An upper jaw, or maxilla, with deformities can cause a range of problems, including an open bite. Since the upper jaw is attached to the rest of the skull, this can be a complex procedure requiring cuts below both eye sockets to create a single sliding unit. 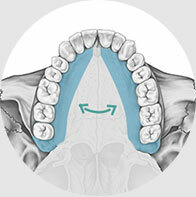 Once moved into the ideal position, the upper jaw is typically stabilized with titanium screws and plates. Mandible, or lower jaw, deformities can include a receded jawline, a protruding jawline, an open bite, a small jaw, and other concerns. In most cases, cuts to the bone (osteotomies) are made around the molars so the entire lower jaw, including the teeth, can slide forward or back as needed. Other surgical or orthodontic techniques are used for a small jaw to increase its size. Stabilizing titanium screws are also commonly used. Some patients need single jaw surgery to address their concerns, others will need double jaw surgery. During the evaluation process, Dr. Payne will determine whether upper jaw surgery, lower jaw surgery, or double jaw surgery is appropriate for your needs and goals. Some conditions may appear to only affect the upper or the lower jaw when in fact both areas will need attention to achieve the desired result. Dr. Payne and his skilled medical team are dedicated to providing the best possible care with the least invasive approach, and they will go over all the details, including the purpose of each technique used, during your initial consultation. Genioplasty, more commonly known as chin surgery or chin augmentation, is used to move the chin forward or backward to address functional or aesthetic concerns. You can read more about this technique in the Cosmetic Jaw Surgery section, below. Orthodontists can often expand the palate with non-surgical techniques; however, sometimes a rapid expansion is necessary when the maxilla (upper jaw) is oval-shaped and smaller than the mandible (lower jaw). Prior to the procedure, an orthodontist will place a palatal expander on the maxilla teeth that allows for adjustments post-surgery. During the procedure, the maxilla is separated from the cranial base and the palate is spread a small degree using the expansion device. Each week Dr. Payne will turn the expansion device to advance the palate a little more, gradually reaching the desired size. Orthognathic surgery can be used to improve the aesthetics of the chin and jawline to achieve a more conventional appearance or for an improved face and profile. 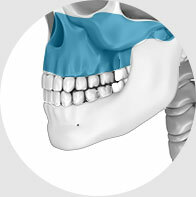 There are a number of techniques available for aesthetic orthognathic surgery, and the treatment plan will depend upon the anatomic indicators, the patient’s personal preferences, and several other factors. For instance, a recessed chin can be enhanced using chin implants or, depending on a number of considerations, lower jaw advancement surgery. During your initial consultation, Dr. Payne will discuss your needs, evaluate your concerns, and develop an individualized treatment plan with you. Some patients desire implants to improve the shape of the face. While this can be possible with most patients, some require actual repositioning of the bone with osteotomies to reshape the face. Implants are limited to achieving only small changes in the appearance of the face. Implants also can present a higher risk for infection after surgery, leading to their eventual removal. Dr. Payne will discuss in detail the pros and cons of each option in a consultation. Typical recovery after aesthetic orthognathic surgery is two weeks for pain to resolve, with six to eight weeks for swelling to resolve. These techniques can be combined with rhinoplasty and/or fat grafting to augment the soft tissue to achieve significant improvement of the appearance. Every treatment plan will be unique to the patient, and a multitude of factors will be considered when developing a course of action. 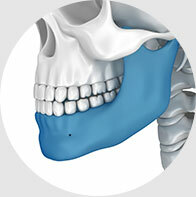 Aspects like severity of the condition, age of the patient, and whether the upper jaw (maxilla), lower jaw (mandible), or both are involved will play important roles in the techniques used. Some individuals may need to have bone cut and repositioned (osteotomy); some may need to have bone replaced. If extra bone is added, this tissue may come from a donor or it may be harvested from the patient’s own body, such as the hip, leg, or rib. In cases where children are involved, our surgeons may recommend waiting until the jaw has finished growing, typically around the age of 15-16, to perform the operation. In some instances, jaw surgery may need to be completed earlier if there is a risk of breathing or eating problems (as can occur with cleft lip and palate) or additional developmental issues. Dr. Payne will discuss these contingencies with you and your family during your initial consultation. Genioplasty, or chin surgery, is often performed in conjunction with mandibular (lower jaw) surgery. 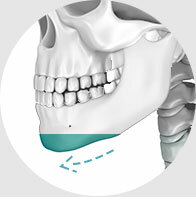 A technique called a sagittal split osteotomy can be used to bisect the lower jawbone about midway between the chin and the edge of the jawline. As a result, the chin can be set back or advanced as needed to achieve the desired effect. Additionally, the maxilla (upper jaw) can be advanced or set back to obtain a more normal occlusion (bite alignment). Changes to the upper or lower jaw, or both, are foundational modifications that can reshape the facial anatomy, altering one’s appearance and oral function, including the ability to breathe, speak, swallow, and chew. Prior to surgery, orthodontic treatment (braces) typically will be used to reposition the teeth for a good fit after the operation. What Is Jaw Surgery Recovery Like? The healing process will vary from person to person, depending on each individual’s unique rate of healing and the surgical approach. You will need to remain in the hospital for one to two days before returning home. You may have braces or wires on your teeth or jaw to help stabilize your results and maintain jaw position. Many patients who undergo jaw surgery will need to follow a liquid diet after the operation for a period of time, followed by soft foods, and then hard foods can be slowly introduced after healing is complete. Minor jaw surgery recovery may take a few weeks; more complex operations can require a month or more of downtime. Through this experience, our surgeons and medical team will take great care to provide as much support and information as possible. Your comfort, and that of your family, are top priorities for us. 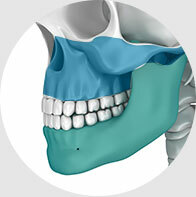 Many of the patients we see require jaw surgery as a necessary part of their medical treatment. As a result, the cost of treatment is typically covered by their medical insurance. If an individual does not have health insurance or is receiving a cosmetic procedure, the price of jaw surgery will depend on the particulars of the treatment plan. Depending on the complexity of the case, the number of areas treated (upper jaw, lower jaw, or both), and the technique used, jaw surgery can cost on average about $20,000. During your initial consultation, Dr. Payne will discuss the details of the operation with you, including the expected cost, and our medical team will go over how much of this estimate you will likely be responsible for. Every medical insurance plan is different, and we encourage you to speak with your agent about your benefits regarding jaw surgery coverage. Are There Any Alternatives to Jaw Surgery? Some concerns can be corrected with non-surgical techniques and others cannot. The severity and type of the problem will play a role, as will the amount of time you have to address the issue. Bite misalignment, TMJ symptoms, and sleep apnea concerns might be improved with orthodontics and dental appliances. For some cosmetic procedures, minimally invasive techniques that do not require osteotomies (bone cutting) may be possible, particularly for chin augmentation. During your initial consultation, Dr. Payne will listen to your concerns, evaluate your needs, and develop a customized treatment plan based on these factors. Your preferences are always taken into account, and we will help guide you toward the optimal approach and review all available options, that way you are able to make the best choice for you. We understand that you may have numerous questions about jaw surgery. Our friendly and knowledgeable medical team can provide answers and help you schedule a consultation, simply call us today for more information.